hope this thread life in long time. Seohyun after knowing that we already in the 3 part of shipping thread ! Wow, it's been a long journey - 5 years (who can counter it ) & I believed this is the only thread that moved up to 3 thread. Looks like we have new members a long the way. I admit, I no longer actively here, but still comes here - not frequently , but believe me, I'm still here. Thank you for making this thread alive everyday. Yaay! Daebak! Thread 3! As expected GOGUMAS are jjang! Heheheheh! Mian if I haven't been posting like I usually do. It's been every difficult to post links using my mobile so I just became silent reader hahaha but if I spot something really worth sharing then I won't to hesitate to spread the joy in this new home! Daebak gogumas! Keep shipping! WOAAAAAA!!! CONRAT'S FOR NEW THREAD GOGUMA!!!! Yay! Congrats to all!! We are in thread 3!!! It's been long time since I last posted in YS thread, but it doesn't mean I had left or jump ship. I remained as a loyal guguma since thread 1. Just switched to lurker mode all these while. Believe there are many silent gugmas like me. Come on! Silent Gugumas.. Let's surface to celebrate the start of our new thread!! 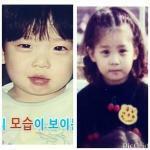 Thread 4 - The era where Yongseo reveal their kids And Joining Superman Is Return with Triplets and Sarang ! Good job Gogumas, we are really something, thread 3 is something we should be proud of =) keke. I woke up this morning and freaked out because the mod already closed our thread 2 and couldn't find this new home yet. Although I didn't join you guys from the beginning of thread 1, I'm soooooo happy that I could join you guys here on thread 3. I guess we are the first one to have 3 threads, aren't we? 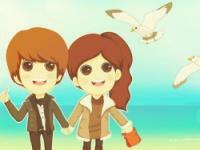 Gogumas are jjang!!! Let's fill this new home with much much happiness. Please do tell our goguma sunbaenimdeul who rarely visit us anymore and also our silent readers, to visit our new thread here and come by to say hi. Let's make this thread as the most viewed thread here on soompi like our thread 1 and thread 2!!! I'm so happy that I found the 2nd thread. although I'm late to follow up the first thread , still I'm thankfull to find this amazing family here. whoahh! almost got lost I was searching for the posts yesterday and I can't find it, I thought another soompi's trick to an ajumma like me I am confused why we are only on page 2, then I log out again only to realize we are on our Thread 3. Sometimes it is not just curiousity that kills a cat but most of the times it's stupidity LOL. @‌Zarahemla20 thanks for the update, I cried for that " I miss him every single day" LOL I hope we will not end up waiting for 10 years too!!!! I just remember thats. , maybe you can recommend some for me.